When you first login PowerVCS will prompt you to create a new project. 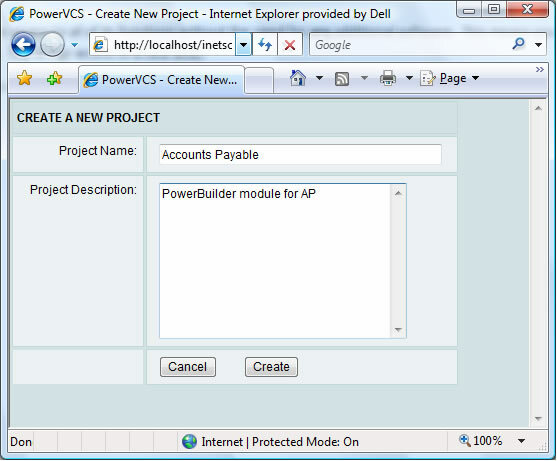 This will establish a new PowerVCS project in the Repository. After you click Create you will see the main PowerVCS page. 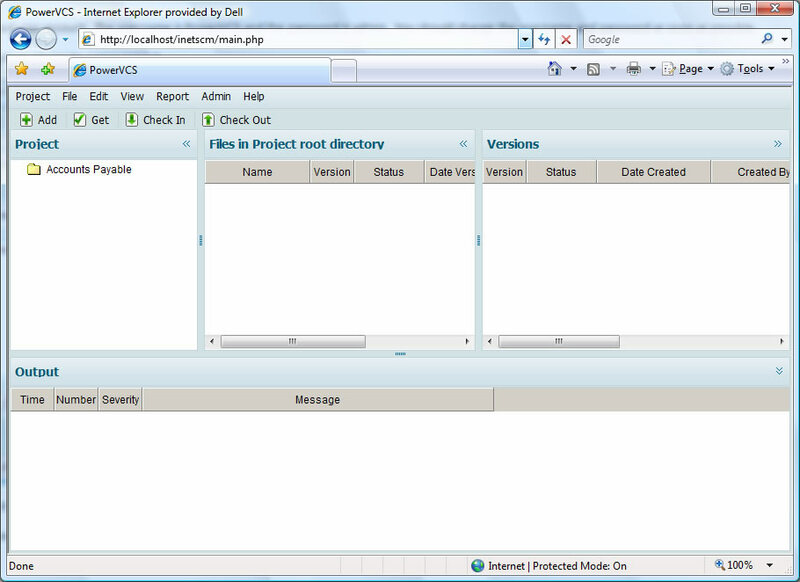 Aside from the project name the page is empty because you haven’t yet loaded any information into the Repository.